Mende Nazer steps carefully off an MAF plane in Yida, South Sudan, savouring the moment. For MAF pilot Chris Ball, who watches Mende breathe in the air, experience the heat and hold a handful of dirt, this is a beautiful moment! These are all things she hasn’t done since she was abducted at the age of 12. At the peak of Sudan’s civil war in the 1990s, Mende’s Nuba Mountain village was attacked. She was abducted, raped and enslaved in Khartoum for nearly seven years, where she was overworked, mistreated and violently beaten. Eventually smuggled into London as a Sudanese family’s slave, Mende – traumatised by the experience and with limited English – couldn’t imagine being free. One day, having been allowed out to run errands for the family, Mende met an Arabic speaker who explained that, if she could escape her captors, she’d be free. So she summoned up the courage to leave her life of slavery and escaped. Mende, now a British citizen, runs the Mende Nazer Foundation. She is an ambassador for the people of the Nuba Mountains and an advocate for those still in slavery. Mende recently flew back home with MAF, travelling with MAF partner Baroness Caroline Cox to provide aid and advocacy and help alleviate suffering in South Sudan and Sudan. 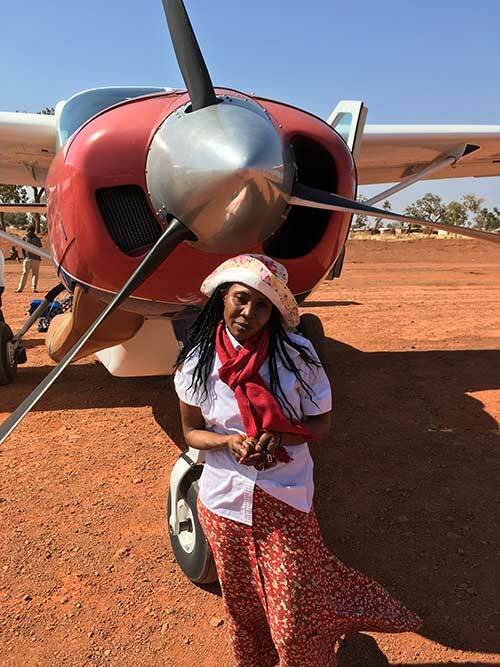 The group flew from Juba to Yida, travelled to Sudan’s Nuba Mountains by road, then flew with MAF from Yida to Wau, and finally back to Juba again. Baroness Caroline Cox, who is no stranger to war-torn villages, has visited these areas on numerous occasions to highlight the plight of victims of conflict. “When I was appointed to the House of Lords,” the former nurse and social scientist explains, “I accepted it as a gift from God. "I don’t like politics. But the message came very clearly that I am to be a voice for those whose voices can’t be heard. Thousands have fled to caves or mountainsides, so Caroline and her team hiked up the mountain to assess the situation. Living conditions are horrendous – the refugees currently have to travel three hours up and down the mountain to fetch water for washing and drinking. Food and medical care are hard to access. The team was also able to film a demonstration of Nuba Mountain music and traditional dancing – a culture the impoverished refugees are keen to retain. Rev David Thomas, who’s accompanied her on many visits to these areas, says it was great to meet up with long-time partner Bishop Moses Deng, the Anglican Bishop of Wau. Mende was delighted to return home. 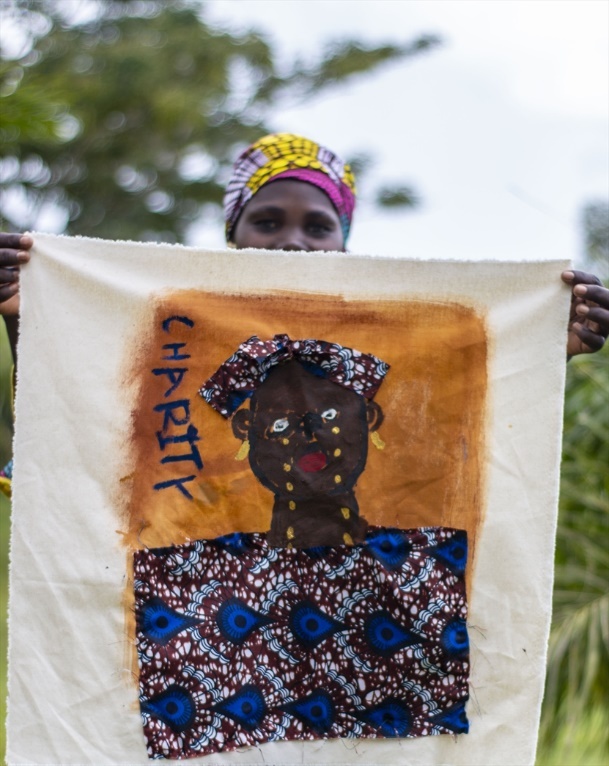 Although she couldn’t see her parents because of continued conflict in their home village, she could still reconnect with family and friends. She was also able to fly in a large amount of medicine for her village.